Ellis Larkins On Piano Jazz The pianist is best remembered for his recordings with Ella Fitzgerald. 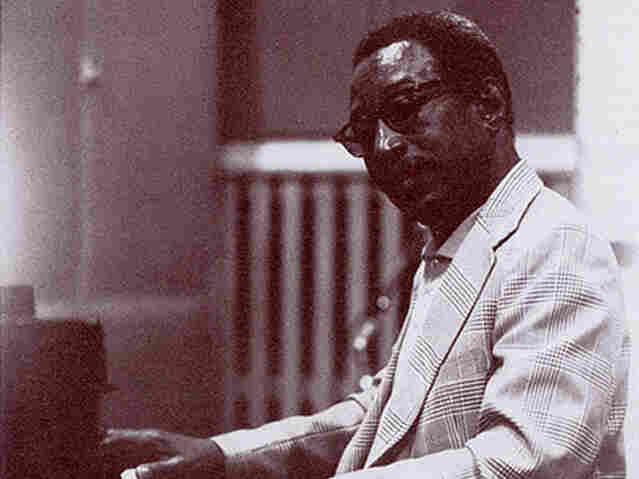 In this 1979 Piano Jazz session, Larkins performs a set of first-rate standards by Duke Ellington, Johnny Mercer, Harold Arlen, Ted Koehler and more. Ellis Larkins on the cover of A Smooth One. Known for his elegant style, pianist Ellis Larkins employed a warm, layered yet intimate palette which always complemented the talents of the singers he accompanied. Larkins is best remembered for his recordings with Ella Fitzgerald, and in this 1979 Piano Jazz session, he performs a set of first-rate standards by Duke Ellington, Johnny Mercer, Harold Arlen, Ted Koehler and more. "We had a lot of fun together," host Marian McPartland says. "On his first tune ['What's New? '], he played very jazzy, and kept running up and down the keyboard. And his arrangements were unusual; he would begin playing the harmony, then the melody of the tune came much later. And playing together with him on one piano was something." Ellis Larkins was born in Baltimore, Md., on May 15, 1923. His mother was a classical pianist and his father, a violinist who played with the Baltimore City Colored Orchestra, started his young son on piano lessons at the age of 4, encouraging him to practice at least two hours a day. Larkins was the first African-American to attend the Peabody Conservatory of Music in Baltimore. He would later work his way through New York's Juilliard School of Music by playing evening gigs, which included club dates with jazz guitarist Billy Moore. After graduating from Juilliard, Larkins became a fixture on the Manhattan nightclub scene. He played regularly at clubs, including Café Society, the Blue Angel, Gregory's and the Village Vanguard. His reputation as an accompanist was cemented by two celebrated duo albums with Ella Fitzgerald: Ella Sings Gershwin in 1950 and Songs in a Mellow Mood in 1954. He went on to work with other vocalists, including Mildred Bailey, Dicky Wells, Eartha Kitt, Joe Williams, Harry Belafonte and many more. A naturally shy person, Larkins preferred the intimacy of the club setting both as a solo performer and leader, and he benefited from the resurgence of intimate jazz rooms on New York's club scene during the 1970s. Larkins was a great mentor and teacher to many aspiring musicians, and split his time between education and studio dates. Among his last recordings were two albums of duets with the cornetist Ruby Braff in 1994. Ellis Larkins died of pneumonia at age 79 on Sept. 30, 2002, in Baltimore. Originally recorded Nov. 5, 1978. Originally broadcast May 20, 1979.